Los demandantes argumentan que la empresa proporcionó información inexacta o errónea de cara a las condiciones ambientales que el gobierno de Chile consideraba para la aprobacion del proyecto, que hoy se mantiene paralizado. Desde Canadá un grupo de abogados presentaron ante la justicia de ese país una demanda colectiva por US$ 6.000 millones en la se acusa a la firma Barrick Gold y a cuatro de sus directivos de más alto rango de falsificar el estado de la empresa Pascua Lama al no detallar a los inversionistas los verdaderos problemas económicos y ambientales que la iniciativa binacional enfrenta. Según la acción presentada el miércoles último ante la Corte Superior de Justicia de Ontario, “Barrick sabía o debería haber sabido que los altos gastos que implicaría construir y producir el oro y la plata de este proyecto lo convertirían en una operación especulativa”, consigna El FinantialPost. Los demandantes además argumentan que la empresa proporcionó información inexacta o errónea de cara a las condiciones ambientales que el gobierno de Chile consideraba para la aprobacion del proyecto, que hoy se mantiene paralizado. Los demandantes, representados por los estudios Koskie Minsky LLP, Sutts, Strosberg LLP, también proponen que esta acción colectiva, que aún tiene que ser certificada por un tribunal, se abra a los inversionistas que adquirieron acciones de Barrick durante el período que va del 7 de mayo de 2009 al 1 de noviembre de 2013, justo al día siguiente de que la empresa anunciara la suspensión indefinida de Pascua Lama. 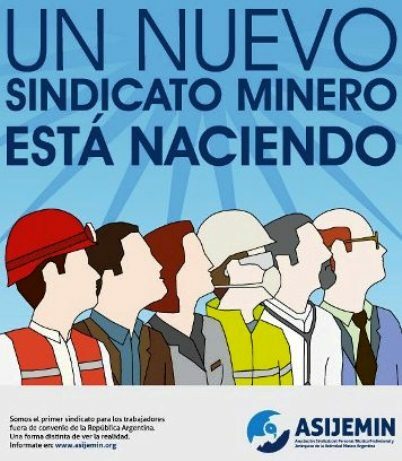 “Esta acción levanta una serie de preguntas respecto de cómo Barrick condujo su negocio y asuntos y la manera en la cual esto levantó la capital de los mercados públicos” dijo Kirk Baert de Koskie Minsky. Handout/Barrick GoldAccording to the document filed in the Ontario court, Barrick said in 2009 that construction of the mine would cost between $2.8-billion and $3-billion. That estimate was increased several times in the following years, eventually settling on a figure of $8.5-billion in late 2012. Barrick Gold Corp. has been named in a proposed shareholders class action lawsuit that seeks $6-billion in damages because the company allegedly failed to make timely disclosure of problems at its Pascua-Lama mine in South America. “Barrick misrepresented the progress and feasibility for development and production at the Pascua-Lama mine, repeatedly through the class period,” the plaintiffs allege in a notice of action filed Thursday in the Ontario Superior Court of Justice in Toronto. Lawsuits in Ontario usually begin with the filing of a legal document called a statement of claim. Filing a notice of action officially launches the case, but also gives plaintiffs more time to follow up with more detailed allegations in the statement of claim. The document filed Thursday contains allegations that have not been proven in court. “The company is aware that a notice of action has been filed in the Ontario Superior Court of Justice. Barrick disputes the allegations, and will defend itself against any lawsuit vigorously,” the company said in an emailed statement late Thursday. Plaintiffs have filed similar securities class actions against Barrick over Pascua-Lama in the U.S. federal courts. The company has denied the allegations in the U.S. claims. According to the document filed in the Ontario court, Barrick said in 2009 that construction of the mine would cost between $2.8-billion and $3-billion. That estimate was increased several times in the following years, eventually settling on a figure of $8.5-billion in late 2012. Costs weren’t the only challenge at Pascua-Lama, a massive gold deposit located underneath glaciers in the Andes mountains on the border between Chile and Argentina. The Chilean government approved construction of the mine in 2006, but held Barrick to hundreds of conditions regarding the environment. On April 10, 2013, an appellate court in Chile ordered Barrick to halt construction of the project due to environmental infractions. Barrick announced at the end of June 2013 it would take an after-tax writedown of up to $5.5-billion related to Pascua-Lama. Then, on Oct. 31, the company said that it would suspend Pascua-Lama indefinitely, and that it would revive the project only if it found a cheaper way to proceed. The plaintiffs intend to make a standard legal argument that is raised in securities class actions: The company allegedly made misrepresentations that inflated the price of its securities beyond the amount investors would have paid had they heard the full story. The suit, which has yet to be certified as a class action by an Ontario court, would be open to investors who acquired Barrick securities from May 7, 2009, which was the day the company announced that it would begin construction of Pascua-Lama and Nov. 1, 2013, which was the day after Barrick said it would indefinitely suspend the project. The lawsuit names as defendants the company and former chief executive Aaron Regent, current CEO Jamie Sokalsky, chief financial officer Ammar Al-Joundi and former chief operating officer Peter Kinver. The plaintiffs are represented by Kirk Baert and Celeste Poltak of Koskie Minsky LLP in Toronto and Jay Strosberg of Sutts, Strosberg LLP in Windsor.